So looking forward to next week's post! And your dishes look delicious. I need to hear more about a vegetarian shepherd's pie! I'm not vegetarian but they're often teeming with meat! Potatoes are my favorite food. Are you wedded to water in the slow cooker dish? Is it because you stir it back up? I am! Since the chicken is boneless and skinless, the extra liquid keeps it from drying out. I don't think the salsa provides enough liquid because it thickens somewhat. If my shepherd's pie is a success, I will do a recipe post! We had chicken, rice, and beans last night, too! I wrapped them in tortillas with salsa! My husband's new go-to recipe is Shepard's pie…non vegetarian though. 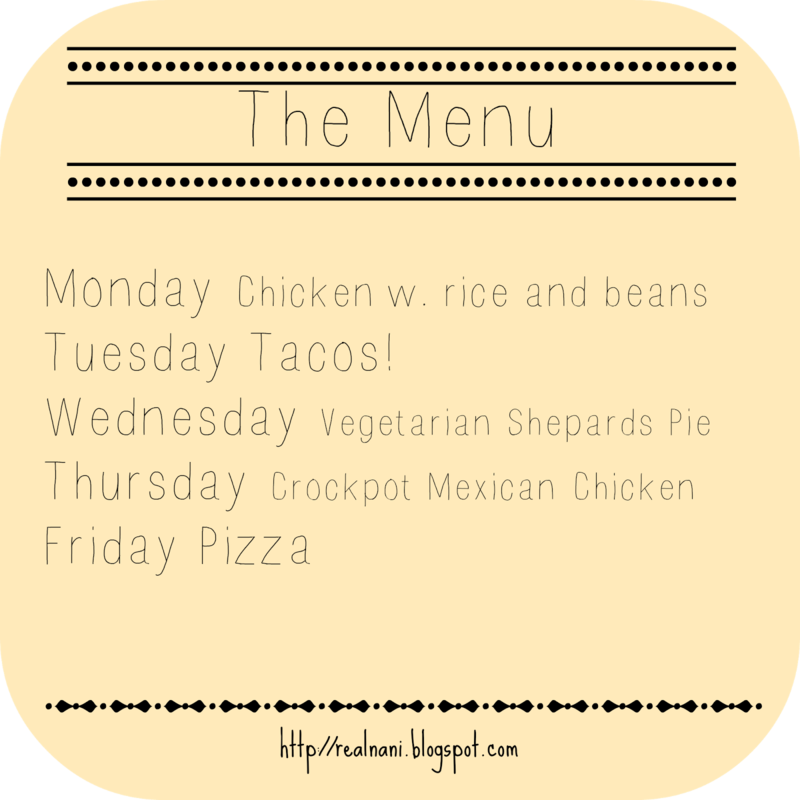 The Mexican crockpot meal sounds great…totally up my alley! Tomorrow night we're having Foodie Crush's avocado cream enchiladas…my oldest son's new fave! it's the best and so easy. We make it once a week, pretty much!